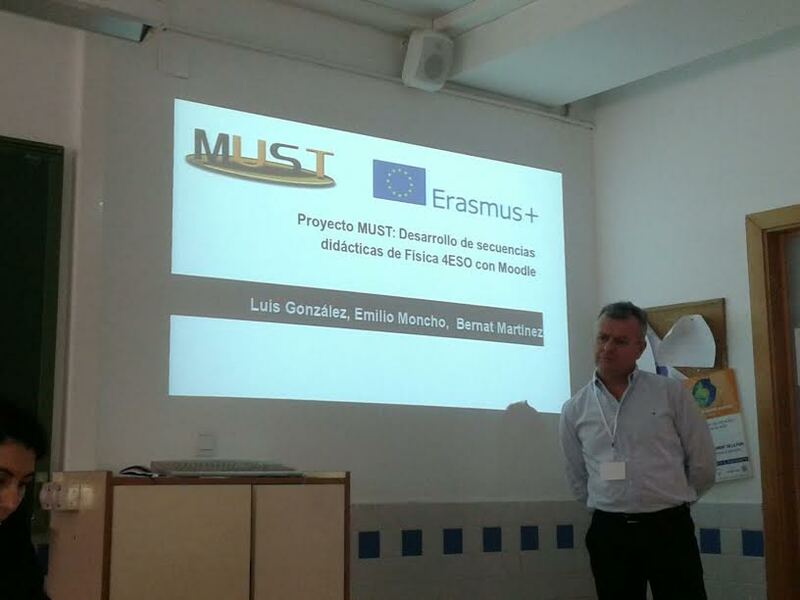 Luis Gonzalez, MUST coordinator, presented the project results and outcomes at the Erasmus+ information day held at the Faculty of Education of Alicante University. The event was attended by more than 200 teachers and headteachers of Alicante province which are these days preparing their KA2 proposals. 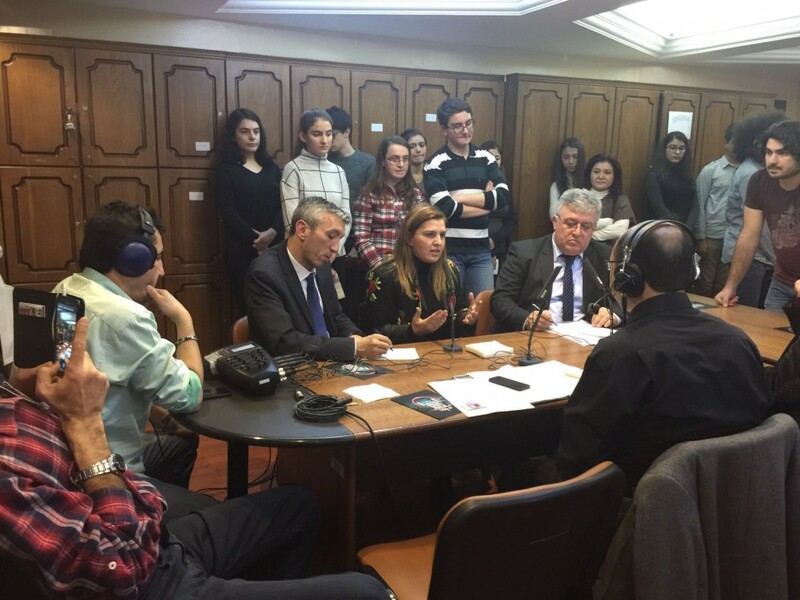 This entry was posted in erasmus+ ka2 on 21 January, 2016 by cabernat. 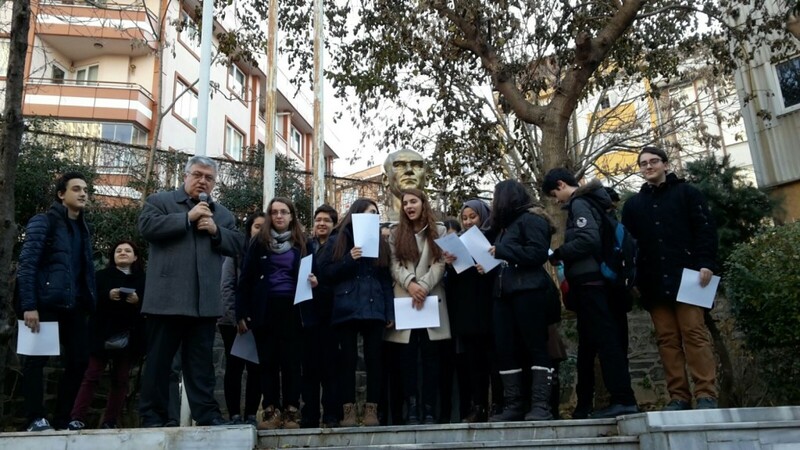 Hatice Kirmaci, a Physics teacher at Sisli Anatolian High School in Istanbul, after attending a MUST online training course decided go further. 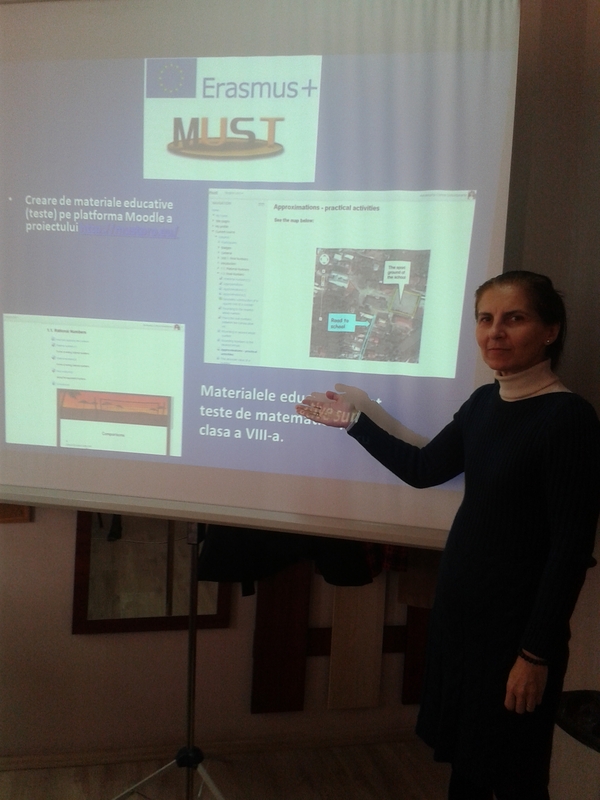 She piloted the teaching Moodle materials with 15 selected students, via online and using English as working language. After completing the experience they were interviewed by the national radio (upper picture). Later, in a friendly ceremony, the School principal handled a MUST certificate to the students for the completion of the course. MUST team are very grateful to Hatice and her students for their collaboration. This entry was posted in Open Education on 16 January, 2016 by cabernat. 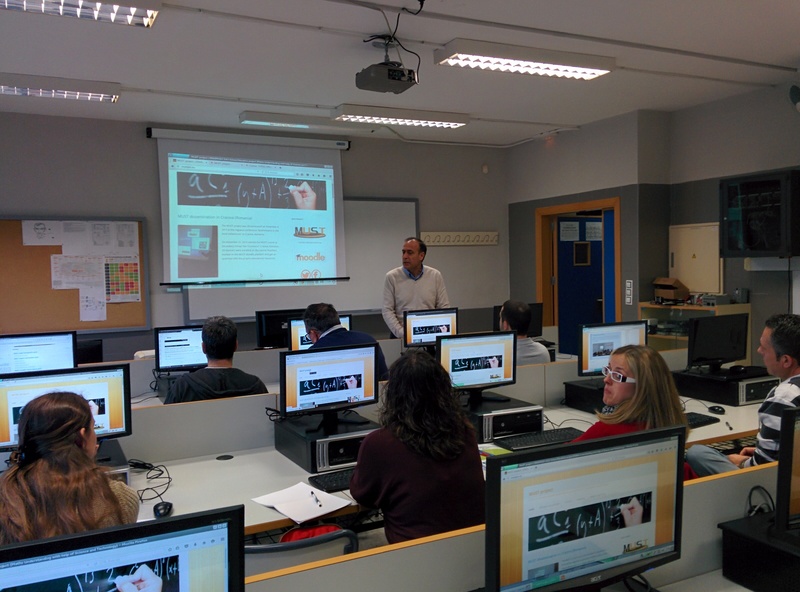 On 13th January started a new MUST course for Science and Maths teachers with a face to face session. 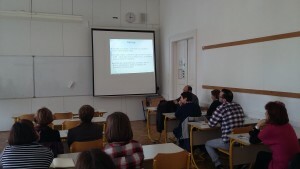 The event was attended by around 15 teachers and much more participated via online. Jose Antonio Poves, the director of CEFIRE teacher training center, welcomed participants and showed a presentation on MUST project achievements and results. 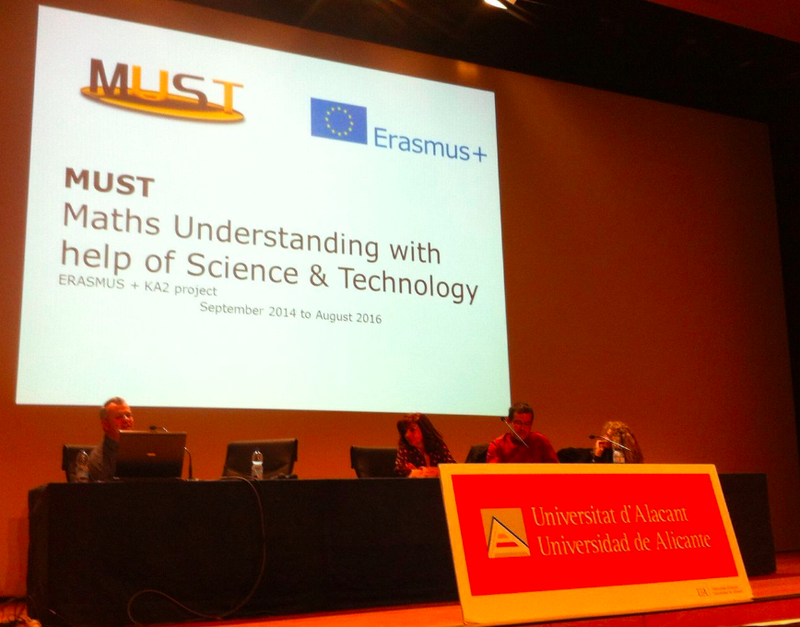 This entry was posted in erasmus+ ka2 on 14 January, 2016 by cabernat.